Create an account at kryolan.com. If you already created an account, please log in. Apply for your PRO CARD under ’My account’. Submit your business card and certificates or call sheets to proof your professionalism. 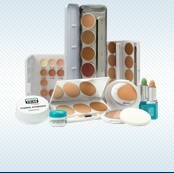 Send in to your local Kryolan distributor via post or email. Your local Kryolan partner will check your documents. After the Kryolan local partner has confirmed your eligibility, you will receive your PRO CARD.